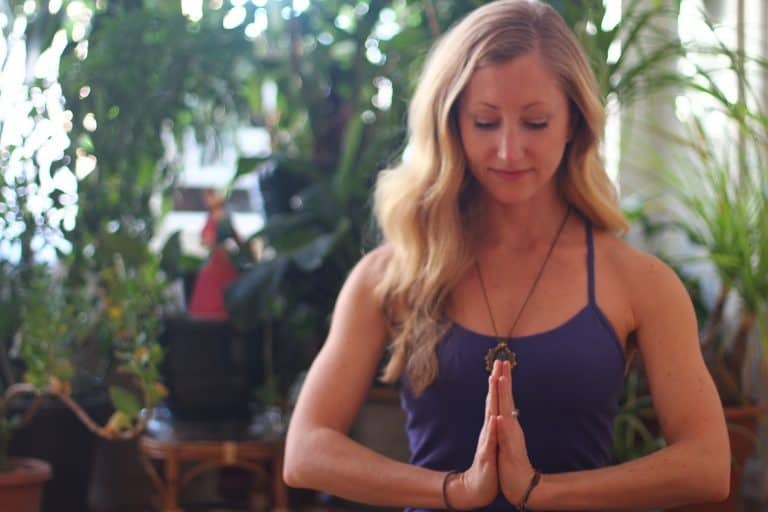 As yoga teachers, we’re refining our craft in every class we teach. Each time we guide others in a yoga practice, there is an opportunity to learn and grow as teachers. After all, inside every experience lies a teacher. However, trying to implement these lessons can be quite challenging. Self improvement is an endless journey. As we grow as yoga teachers and students, our practice changes. 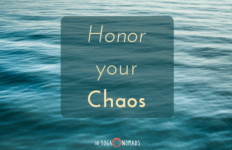 Change is inevitable and so as we move along the improvement path, it’s helpful to remain as fluid as we can to adjust and adapt along the way. 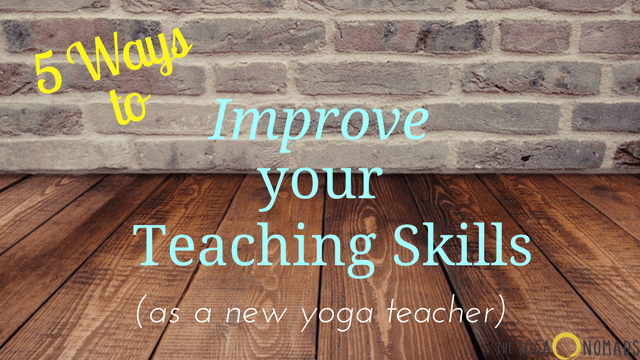 Below I highlight 5 ways you can bring change and improvement to your teaching skills as a new yoga teacher. 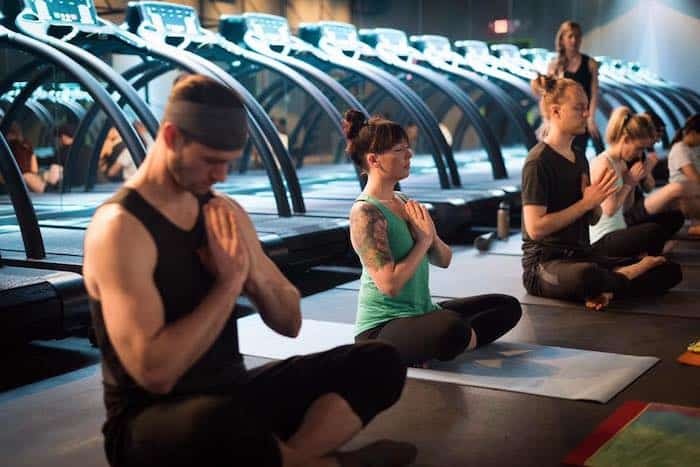 Diversity in yoga introduces you to new ideas, ways of moving, and philosophies you may not have considered before. Explore the diversity of yoga by practicing with as many different teachers and styles as you can. Getting exposure to a variety can greatly impact your teaching. You could pick up a new perspective, new language for cueing or a new way to think about your practice. It can be easy to stay in a routine of what’s comfortable, seeking out only the instructors, studios and styles that resonate with you. I don’t blame you! Our time is sacred, and we want to get the most out of our experience. Rather than dragging your feet to a new class, instead, research the mature and experienced instructors of a certain style with which you’re unfamiliar. Before class, set your expectations aside and see what you can extract from your time learning something new. It’s in the unfamiliar that we can get closer to understanding ourselves! 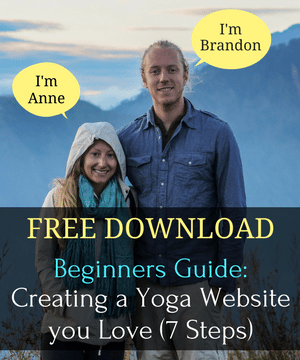 Have you ever taken a break from asana practice? Even just a couple of weeks doing something different can make a big difference. Changing up your yoga routine can provide you just the inspiration you need to teach a great class. 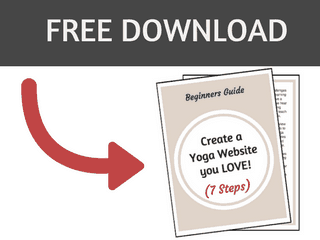 Consider taking an asana break to find another one of the 7 limbs of yoga to inspire you. Grab a book, check out a workshop, or sign up for a training. Taking a step back from what you’re used to, can help you see the practice more clearly. The space away can also help reignite your passion for the practice and remind you why you love teaching. Time away from your typical routine in anything you do can re-inspire you. 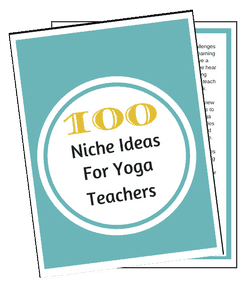 Let this time encourage new ideas for how you want to teach! Doing other activities can inform, influence and inspire your teaching skills. It’s important as we strive to become better teachers, we don’t lose sight of other healthy habits and interests that can help us. Developing habits around journaling and reading can be so useful as a yoga teacher. 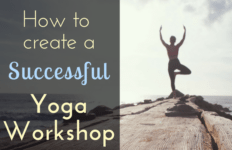 The books and writing exercises don’t even have to be yoga related! Pick up a pen and paper or a good book and find time to read and write. 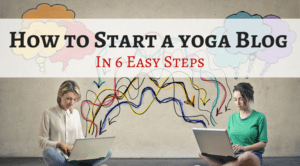 The seemingly simple acts of reading and writing can do wonders for your vocabulary as a yoga teacher. One of the most influential habits for my teaching toolbox is journaling. My routine with it changes, but most every day I’m writing something in my journal, yoga related or not. The time spent journaling helps bring clarity to my thoughts and also helps me brainstorm ideas for class. I most often bring a journal to every class, and I’ll write before, during or after about my experience. I accompany journaling with reading every night as well. I alternate between reading and writing about yoga. 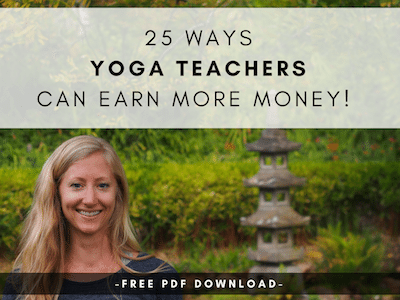 It gives me a break from living and breathing everything YOGA, and even the non-yoga related stuff helps my teaching. Any of these habits could help bring clarity to your teaching. I encourage you to implement just one and see how you feel! Criticism, no matter how constructive, can be difficult to receive. It takes a lot of confidence and tact to accept it with grace; and that is the key. With the acceptance and understanding of criticism, comes growth. You can take what you’ve heard and learn from it. Constructive feedback is often difficult to find when you’re teaching yoga. Finding a trusted source is important when seeking advice. When choosing who to ask criticism from, be selective. Choose other instructors or people in the yoga space who you look up to. 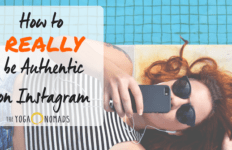 You wouldn’t want to take feedback from someone you don’t trust or admire, would you? Most importantly, go easy on yourself. We all have areas to improve upon in our lives. We are all a work in progress and evolving each day. Every ounce of feedback is simply an opportunity for growth, remember that. 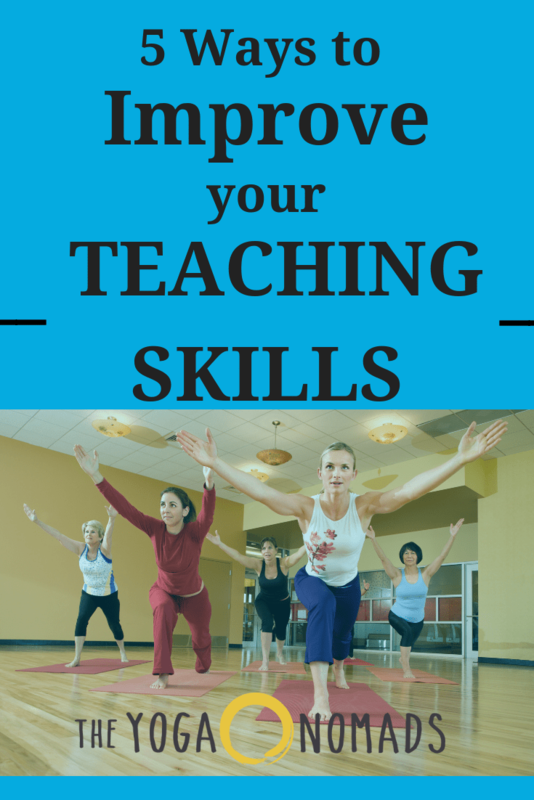 Undoubtedly, you learned the value of practice teaching when you went through yoga teacher training. 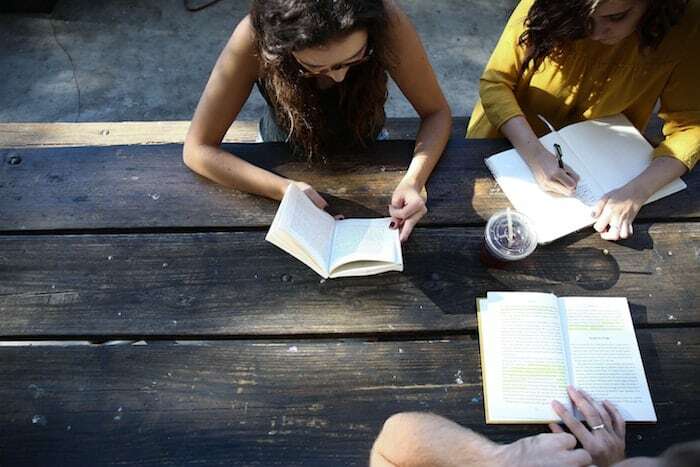 Chances are, without hesitation you practiced teaching a lot so that you could receive feedback from your peers and teacher trainers to improve. The more we practice something, the better we get. It doesn’t matter the environment you practice in, all that matters is that you do it. Carving out time in our already busy schedules can be a challenge, but once you make it a priority, you’ll easily find the time. I’ve practiced in the shower, in the car, to my family members, and to the dog. Just cueing the words helps, and when you have the space and some friends to be your students, go through the entire sequence. I’ve even heard of others recording their sequence, then going back and doing the sequence as they listen to their own voice. There are many ways to practice teach. 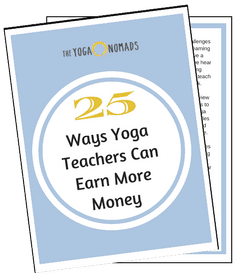 As you grow as a student and teacher, your interests in yoga may shift. Continuing education is a wonderful chance to tackle a different style or area of interest. It’s also a way to keep your skills up as a teacher! Many weekend workshops also count as hours towards your 500-hour as well. Anything I missed? 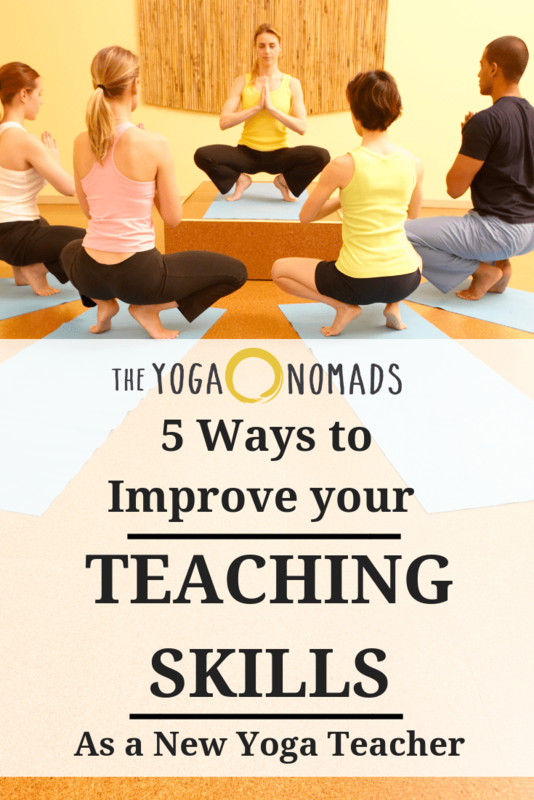 Share in the comments the ways that have helped you improve a yoga teacher!